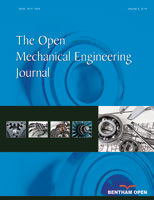 This paper presents the comparative study of design efficiency of two different brands of products, performing the same function using the Design for Manufacturing and Assembly (DFMA) method. The study aims to compare the products on the relative design efficiency. The DFMA method was used as it is a well-established technique for improving the efficiency of the product leading to minimizing production costs. It also shortens product development time by reducing the number of components in a product. The study used two different brands of dry iron as a case study. The result shows that the percentage of the design efficiency of dry iron A is 8.82%, whereas it is 10.34% of dry iron B. Thus, the dry iron B is much better as compared to A in term of its assembly operation and design efficiency. Therefore, the dry iron B is greener than dry iron A. Furthermore, a redesign of dry iron B was proposed and analyzed for the internal validation. The DFMA analysis result shows that the percentage of design efficiency of a new conceptual design of dry iron B increased to 18.08%. The application of the DFMA method to enhance the eco-friendliness of a product has been proven to be highly useful in design work. Keywords: Design efficiency, DFMA, Dry iron, Eco-friendly.